This is how it should look once you have sealed the wire. 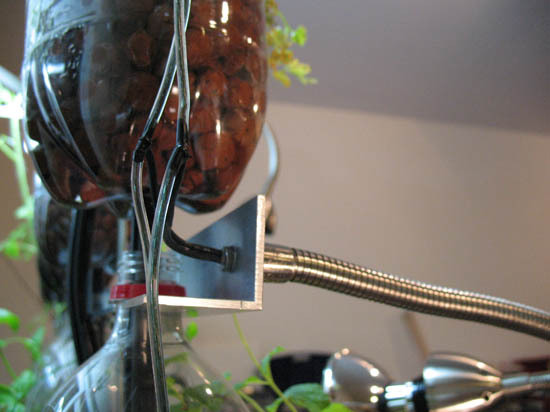 You can also use wire nuts for this process if you do not mind the bright colors in your Farm Fountain. We do not reccommend electrical tape for this process, as it tends to come undone over time and is not water proof and neither are the wire nuts. Shrink wrap is another method you can use to seal the wires though a bit difficult on a T junction which is why the Plasti Dip comes in handy. Remember Plasti Dip should only be used in an open and ventilated area away from any open flames.